I think I just need to clarify... this is only a sampling of the exceptionally cute photos I took of my baby girls last weekend! I also bought the entire disc of photos from the professionaly photographers, so they are now my property, and you can expect to see them everywhere! Jessssssiiii, I need a new blog banner! Anyway, I took the girls out to Pops and Nana's house after the photo shoot. Where there were awesome things like a rope swing and this old iron chair. Is this a great photo prop or what?! On this particular day, there was a strong wind advisory, so guess what we had to do to the hair... again! The last TWO times we've had professional portraits done, we've worn pigtails! And this girly had scabs all over her face and a ratty ponytail to boot. But, either way, she is so cute-i-ful (as my Poppa used to say!). Almost fools you into thinking she is an innocent little thing, doesn't she?! I absolutely fell in LOVE with these aprons! I mean, I think they were FAB-U-LOUS in those bright colors on this bright and happy spring day! Maddi and Ellie were quite photo accomodating on this day, which is always such a nice surprise. I mean, really? I love this one! And it really livened up when I said, "now make funny faces". Ellie was all about this activity. But, she seemed to be a one trick pony! but, now THIS is what the girls really, really, really wanted to do! Pops even tried the old "spider" trick with one on top of the other. I was surprised they made it even one pass without throwing a little fit. Gabbi was a little nervous, so they didn't get more than one pass anyway! I can't imagine these two not being sisters. They were meant to be... as was our "special family". And throw in a same age cousin, who lives next door, and wow... what a lucky thing! My Gabbi Girl, I believe, will be my little daredevil when it comes to rides at the fair, carnivals, amusement parks, etc. Ellie... ummm... not so much! She is not crazy about really high things or especially fast things, like a kiddie roller coaster. She rode with her dad at Disney. WOn't be doing that again! More of these fun pics to come. So trying to RELISH my baby girls this year! things I have ever seen! Happy Easter Mo! Keep RELISHING your wonderful crew! those pics are beautiful and precious! as dirty as my computer screen is, it makes everybody look like they have chicken pox lol - i didn't see anything on gg's face once i scrolled up lol! 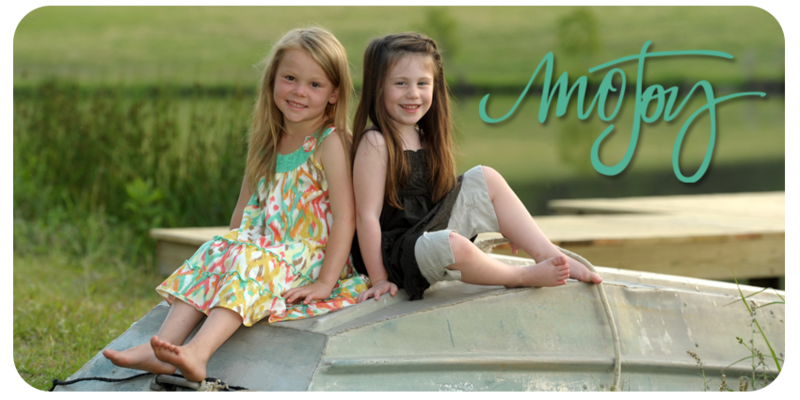 you need to change your blog banner at least seasonally, the girls are changing so much!!!! and i think it is so sweet that you have that 3 girly bond. we have that here too - my daughter is 17, her brother is 15 and our cousin (my 2nd) next door is just from march to september younger than my son! since they have been big enough to hang outside together (farmers, not city kids with fences and cul-de-sacs) they have all been like siblings. from the companionship to the arguments lol!! my boys have had some really good redneck fun together and i love that because neither of them are social outside of the family. my daughter has always been more of the social one and she has more activities away from home so it has worked out great for us!! i have a question, when are you gonna break down and have ellie's head bump worked on?? you know the older she gets the more stressful it is gonna be on all of you to have it fixed!!! and you have already said on multiple occasions that it needs fixed!!! love all you guys and i hope you have a great easter weekend!!! Where did you get those aprons? They are too cute! ADORABLE! You got some awesome shots of the girls. I can't wait to see the professional pics too. What do you mean "special family"?